I notice intermittent incomplete white horizontal lines sometimes on my laptop screen. it flashes for a second or so and comes at irregular interval (minutes to hours). 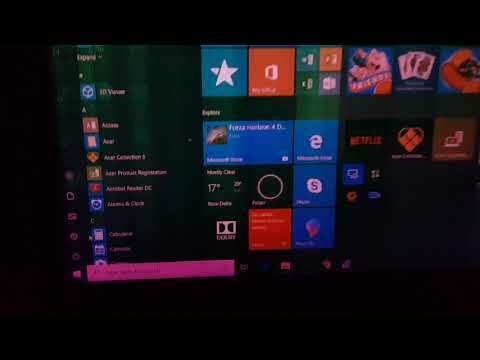 Secondly i was gaming alright at low settings with default predator sense (Fan control - auto, gpu - normal) till yesterday when my screen suddenly became purplish and ghosting occured. i immediately switched off my laptop and started again to notice more flashy desktop (like refresh rates visible) on screen. i switched it off again. I connected it to my tv to check if its monitor or gpu. but showed fine on my tv. after playing for sometime on my tv(10 min or so) i again switched it off and restarted. now my laptop screen looks fine. I dont understand why it happened. is there any problem with the lcd screen. or some wiring problem. i keep my laptop with utmost care. In my opinion, this is a problem on edp cable or display! Have you checked that the problem also remains on an external monitor? Because if the problem manifests itself on the external monitor, this would indicate a problem on the graphics chip! Have you checked that the problem persists in bios as well? Test the bios, move the notebook screen up and down. Since you tested the notebook on an external monitor and this problem did not occur on the external monitor, then I think it might be a problem with the flat cable (edp) or the display itself. actually this problem occurs very irregularly . sometimes lasting for few minutes (1-2) and then it disappears by itself. sometimes it occurs once in 3-4 days. i tried to see if it occurs while the laptop is plugged in. i noticed that it happens when it is running on battery also. but it occurs for few sconds to minute only. I hope i could post a video on this forum. but i dont know how to do that. tilting the screen does not cause any lines. how to test the bios ?? please watch the complete video carefully, you can notice small white horizontal lines flickering especially in the last 10 seconds of video (inbetween as well). As soon as you turn on the notebook, press the f2 key to enter the BIOS. Make sure that the screen problem also remains in the bios. I check the video! This may be related to an edp cable with problems or poorly connected; with some display problem; or even with some faulty driver! i have already updated the drivers but to no avail. i think the flickering happens whenever cpu usage reaches 100 %. can it ?? I have the an515-51 model that has the same configuration as the ph315-51 model and this does not happen even by putting my notebook in high performance and using 100% of the cpu! The fact that the processor is being used at 100% should not cause this problem. I think this problem is due to some bad contact in edp cable or even in the display itself! Have you checked that the problem also occurs in bios? today was the worst day. it happened a lot. but the worst part was that it appeared during bios also. i will upload the video soon. Unfortunately I believe this problem is on the display or on the flat cable! I own the an515-51 model that has basically the same hardware as the ph315-51 model, this problem does not occur! However I wonder if you added some hardware after purchasing the notebook? Why wud somebody add hardware in a new laptop.... I am not a geek or a freak. I wanted answers for this defective piece of .... that I have bought with my hard earned money. That is the reason I joined this community. Till now I haven't got any respo we from so called acer admin...guide me what to do now..
OK! I suggest you contact the moderator Acer-Manny or Acer-Karp who are the most active here in the community! 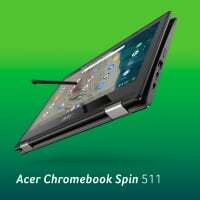 how do i contact acer manny...or for that matter any acer admin. what about technical support in india. this problem is increasing actually. today i had a sudden bsod also. i dont know why. To talk to moderators, just click on their names and send a private message! would like to update everyone. I putup a complaint thru acer service centre. 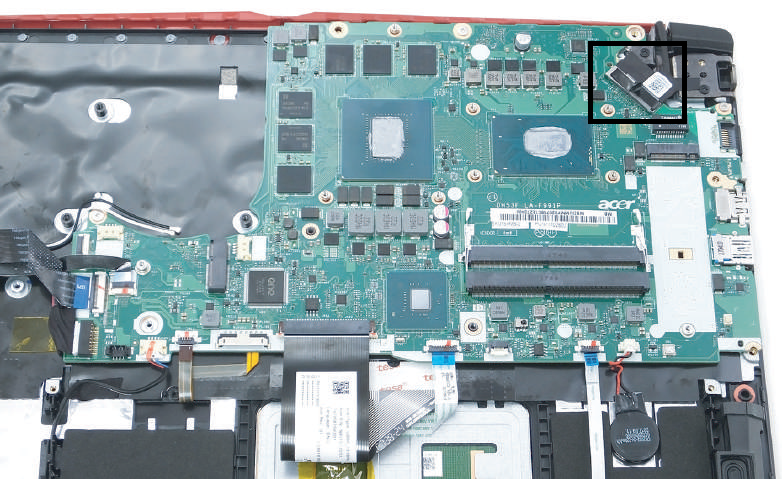 an acer engineer checked the laptop. open the lcp panel. removed and put the same cable (edp) in the lcd. asked me to use it saying that many a times edp cable is loose and is responsible for display. I used my laptop occassionally for next 03-04 days with some amount of gaming. looked fine........till today when again green vertical lines showed up again while playing games suddenly. i thought my problem was rectified but when it happened again it makes me sad. that means there is some other fault in the laptop.....my new laptop.that too without any rhyme or reason.... 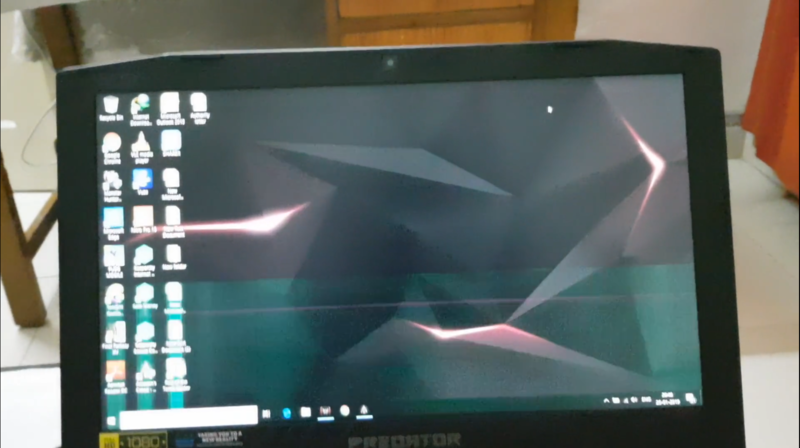 Faulty new laptop, how common is that .....ACER. If connecting the same edp cable, the problem was solved temporarily and then the problem reappeared, then it seems to me that the edp cable is in trouble! I recommend you trigger the warranty again!